A healthier employee is happier, feels better, interacts with co-workers more positively, is more productive and more reliable. Let’s work as a team, so the company, management and employees benefit. 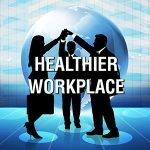 When employees are healthier, what are the ensuing benefits? personal sense of satisfaction and well being increase. 3. increase bottom lines organically, rather than being undermined by unexpected health care costs, interpersonal disharmony and absences. In order to successfully survive, business must look at the “bottom line”. Health care costs are growing and already one of the highest, if not the highest, expense on the balance sheet. They are out of control and there is no end in sight. 6. positive approaches to interpersonal dynamics in the workplace and at home. 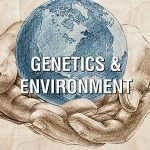 It is important to consider bringing the home environment into the conversation since stress or harmony at home affects the work place. 1. The bottom line increases in tangible and intangible ways when employees and management are healthier and happier. 2. Everyone wins including the families, stockholders, management, the employee and the business objectives overall. 3. The outcome then is the longer-term successful viability of the company, which affects everyone’s health and success. The circle very much goes round. It is prudent to strengthen what we do have as benefits and potential, rather than waiting for the system to have defects or worse, break. Let’s work as a team so everyone benefits. HAVE YOU CONSIDERED A WELLNESS ROOM AT YOUR OFFICE? See my blog on this concept. Here’s one idea being pursued in New York City. It is said that geniuses, like Einstein napped. Have you ever had a “catnap” and felt totally refreshed and recharged? Would you like a health advocate? 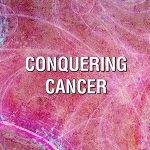 I am your health and life coach, and integrative consultant in conquering cancer . We have a team to support you. 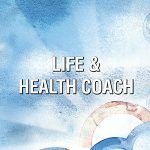 I am here to help you to Live Your Life!, as a person successfully dealing with health challenges, not as a patient trying to squeeze in “living a life”. We each differ and need a personalized approach to our health. My objectives are to empower you so your life and health journeys are successful. I and my colleagues will support you.to retain or retrieve your health, whether you are working with conventional, integrative, complementary or alternative approaches. 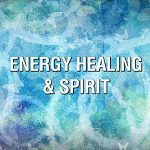 Is your body's own healing activated? The body is a self-healing mechanism and works best when given the right tools. The body knows how to heal when the “interferences” are removed and the tools are provided. Our mission is to address the multiple “interferences” specific to your life that contribute to dis-ease and cancer. You will be empowered to take effective action, targeted to your situation. 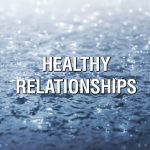 You will have more knowledge with which to evaluate options and make better decisions for your current cancer episodes and to protect yourself for the future. Disclaimer: These statements have not been evaluated by the Food and Drug Administration. (FDA) The information and products provided on this educational website, and its links, and in our consultations, conversations emails and all communications, are not medical advice. All is for informational purposes only and not intended to diagnose, treat, cure nor prevent any disease or health situation. For medical advice, diagnoses, treatment and evaluation, consult your chosen licensed physician or other health care professional. Thank you for supporting my work. Small commissions are provided by companies when products are purchased through the links on my website.